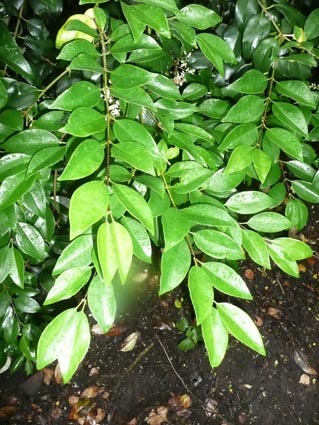 Ligustrum lucidum is a close relative of the native privet (Ligustrum vulgare) and also the cultivated privet commonly used for hedging (Ligustrum ovalifolium). 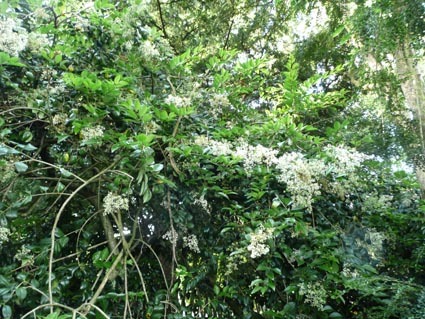 The Glossy privet is a native to the southern half of China, but is now common in many temperate parts of the world where it can sometimes cause problems as an invasive alien. While more often seen as a shrub, it can form a small tree up to 10m. The leaves are opposite and very glossy. 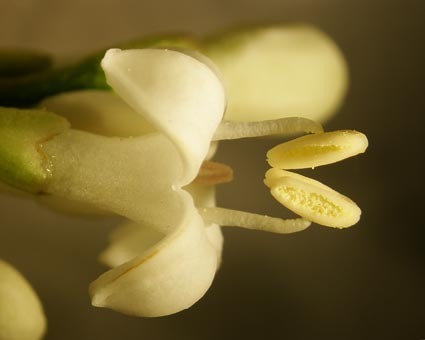 The flowers have 4 fused petals and two distinctive stamens - the latter a useful guide to the family, the Oleaceae or olive family. Also in the family are the lilac and the ash tree. 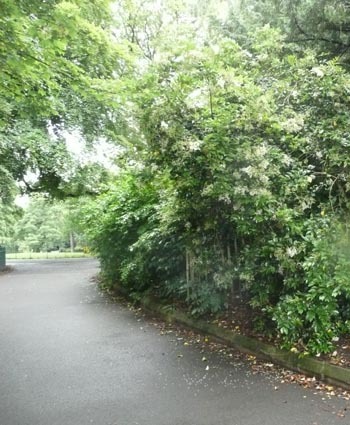 The specimen illustrated here is close to the Botanic Avenue gate of Belfast Botanic Gardens. The seeds of the glossy privet are used in traditional Chinese medicine for treatment of tinnitus, vertigo and disorders of the eye. The berries are mildly toxic. Photos taken in Belfast Botanic Gardens in 2015. Copyright: Friends of Belfast Botanic Gardens.